Empire of Books: News: Title and Cover Art Released for Department 19 2!! 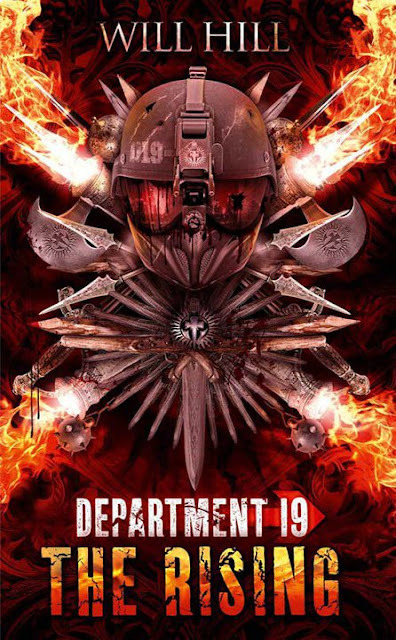 News: Title and Cover Art Released for Department 19 2!! Awesome right? Cannot wait!!! Bravo to the HarperCollins design team who have done themselves a real justice with this cover! I like that it doesn't look to different from the first book, there'll be no mistaking that this is a series. I like that they've changed the weapons up though to give it a better feel. Maybe a hint of the time period or the time some big baddie is from? Who knows! All will be revealed soon though! Head on over to http://www.facebook.com/department19exists to check out a short video of Mr. Hill himself talking about the book, the title and what it may refer to!